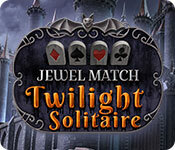 Jewel Match Twilight Solitaire is rated 4.8 out of 5 by 23. Rated 5 out of 5 by Tabitha77 from Beautiful but a bit slow While this is a lovely game with several new additions for solitaire games, it moves too slow (even screens loaded slowly) and so my attention wandered. I believe it is supposed to look kinda' spook so the visuals were a bit muted and dull and I found myself rubbing my eyes to see them more clearly. I had to give it a 5 though because it is beautiful and well-designed, extremely relaxing; plus great for those who are looking for a this type of slow-paced, non-stressful game. Rated 5 out of 5 by laurakay76 from Nice long game! With as many levels and bonus games as this offers, it'll keep players entertained for hours. A great one for a rainy autumn afternoon, as the haunted layout is spooky but not overly so. It's a nice Halloween treat and I'm glad I was able to grab it. Rated 5 out of 5 by cyndrap from Excellent game This game has everything, good levels of play, fun play, side games, trophies, good store. I really enjoyed the game and bought it less than 15 minutes into the demo. Rated 5 out of 5 by Peekie120 from Held My Interest Hey Folks: I play A LOT of Spider Solitaire (4 decks - I like a challenge) and HO games. I do like a change every now and then. I purchased this game during Christmas and loved it. I played it right to end which is rare for me. If you are looking for something different for your gaming palette I recommend this game. Happy New Year everyone. Rated 5 out of 5 by stonebull7 from LOVE this This game is just lovely. The music and the sound effects add to the greatness. I have not lost one level and if that doesn't make ones day nothing does. Game play is FUN!! I cannot say enough how I adore this game and play it over and over and over. 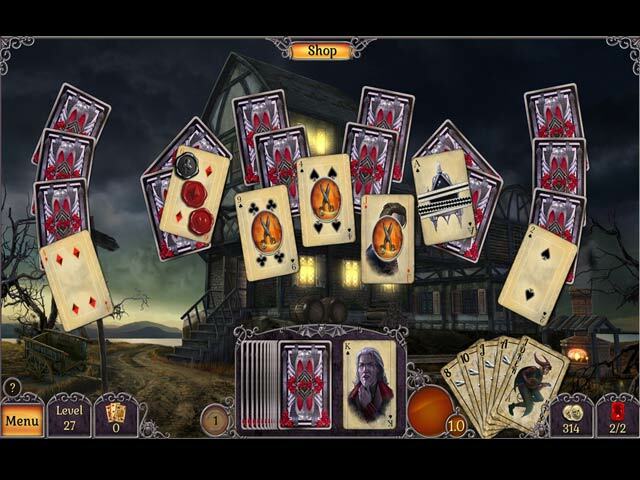 Rated 5 out of 5 by Bumbles2 from This is a spooktacular solitaire game !!! I played for approximately 5 minutes and knew instantly I had to have this game...what a delight it was to play !!! Which I did and have been playing it for the past few days. 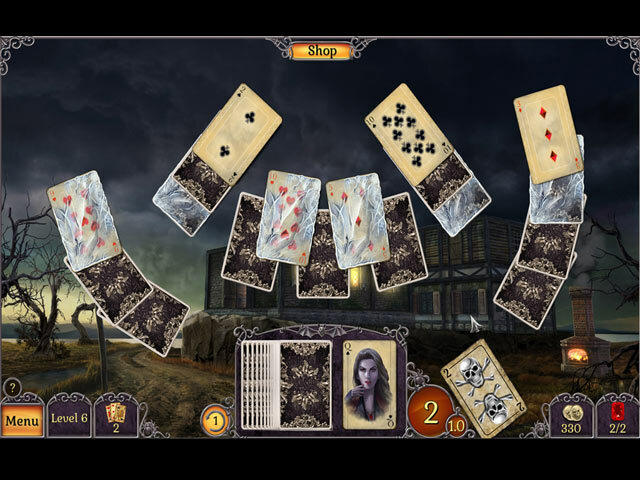 I have never played a Solitaire game quite like this one...but by the looks of things there are more from this developer...which I plan on investigating. The music definitely leaned toward a Halloween theme and the Graphics are so very well done. I also really enjoyed the Mahjong that was on the sidelines...you don't have to play it if you don't want to..but I did and enjoyed that too. This wee game has 200 levels and I think it also had 50 bonus levels although I haven't played them yet. I tried to keep this short and sweet but it just didn't happen... there are so many good things to say about this game...try the demo and you'll probably be hooked like me..LOL!!! Have fun all !!! 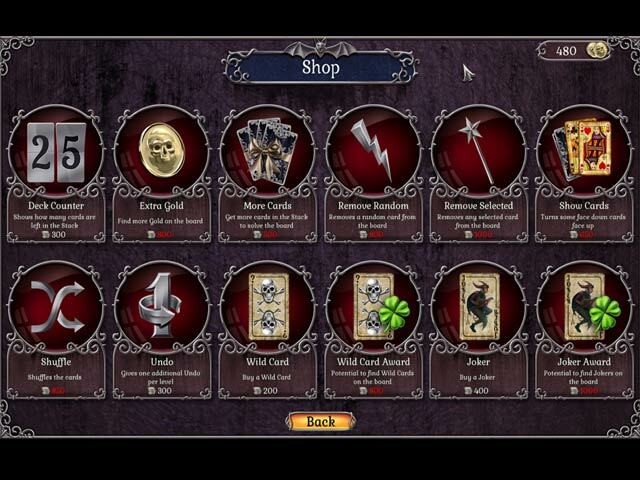 Rated 5 out of 5 by leoaz11 from IT'S A JEWEL I love this game,one of my alltime favorite solitaire games. Overall,it wasn't a huge challenge,though you can change the difficulty level. It's a long game,with several eerie castles and old houses to build. There's also bonus games-mahjongh-and those are quite fun,too. Rated 5 out of 5 by luvshelties from Spooky Solitaire Fun This has become my go-to game, I can't get enough! I love the graphics, the music and the golf-style solitaire is one of my favorites. Rated 5 out of 5 by Kimmycoo from More Exactly Like This! I am just in awe at how awesome, stunning, breathtaking and beautiful this game was. So much was put into this game.You cant get a more perfect solitaire game. I love that you can build the castles as you go along. It makes you feel as though you are accomplishing something in any game like this. I loved the music, the achievements, the wallpapers that you unlock as you go along, the SUPERB wallpapers, the game play itself, the cards, the unique-ness, the quality. Also the replay value and the bonus Mahjong games.. I could go on and on. If you love solitaire, this is a MUST own!! I beg the developers to please make more just like this one. I loved it and I appreciate the time, effort and the work that was put into this to make it the PERFECT game! 100 stars!